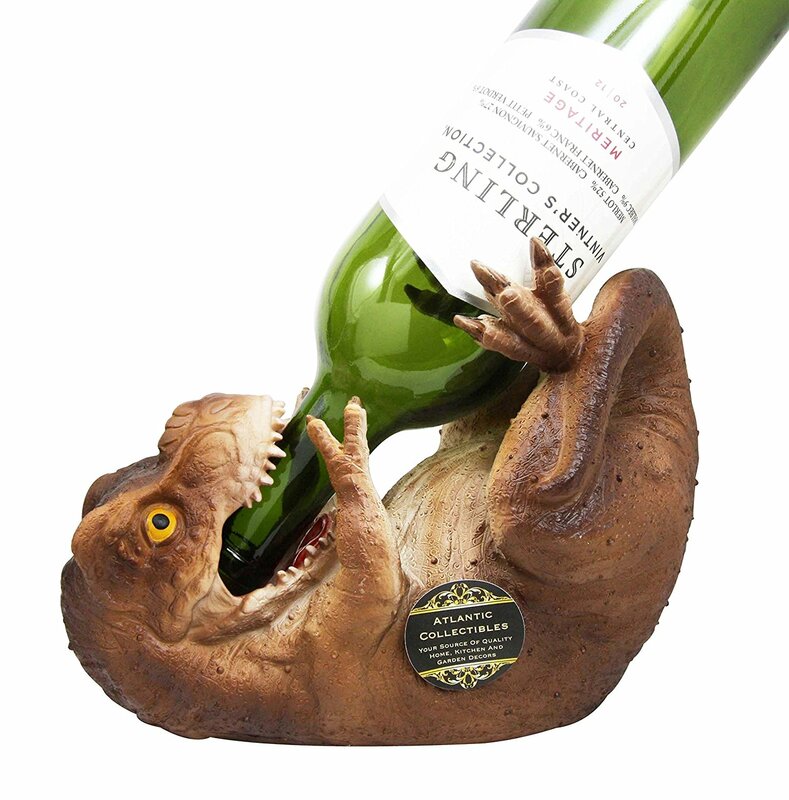 If you, like many of us, have a desk job where you spend a ridiculous amount of time online window shopping, we have one more thing to add to your mental shopping cart: These T-Rex wine guzzlers. 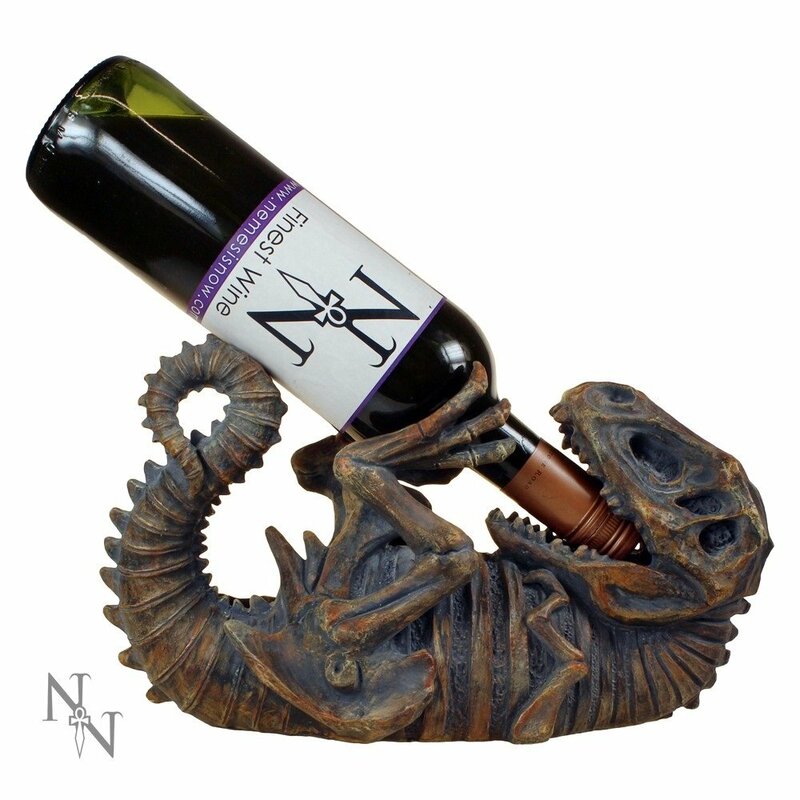 We don’t care what your lifestyle is or what kind of decor you have in your home or office (if you’re keeping wine in your office let us take this moment to dub thee #goals), this wine-o-saurus rex is absolutely for you. How could you say no to this adorable little man-eater guzzling your wine? Waaaay more adorable and quirky than a wine rack. And if you have a lot of wine to store, picture this: a dozen of these little guys lined up on your table. Yeah. You’re welcome. We think the latter would be particularly appropriate if you have a paleontologist friend. Or if you have a friend who’s just a really, really big fan of Land Before Time, the first one is definitely a solid option. With the rise of Etsy and other online retailers making accessories that are bizarrely specifically tailored to our interests super accessible and affordable, the decor you’ve been dreaming of since you were six and watching Jurassic Park but fast forwarding through the scary parts on your VCR is SO ATTAINABLE. These toothy little guys are only $21.99 on Amazon, or $31.99 for the fossilized one on Merchoid (during their pre-sale, yo), so if you fancy a jurassic adventurer sort of aesthetic, we’re happy to say it’s so within your grasp.